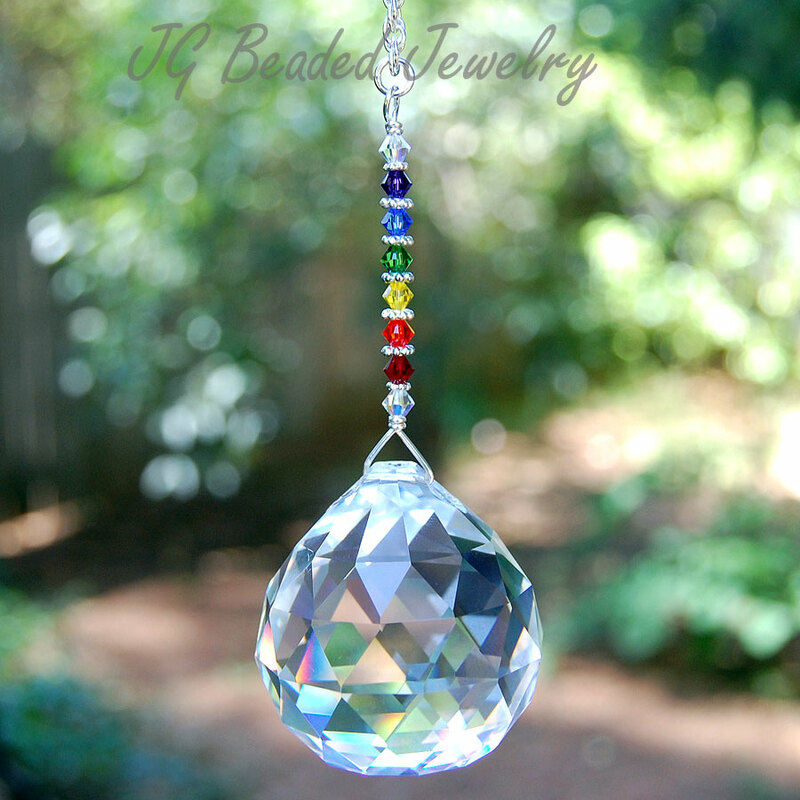 This rainbow prism crystal suncatcher is designed with a 40mm clear prism crystal. It is wire wrapped by hand with flawless Austrian Swarovski crystals in the color of the rainbow using amethyst, sapphire, peridot, yellow, orange and red along with fancy silver metal beads and silver chain. Length is approximately 8 inches and has a sturdy loop at the top. 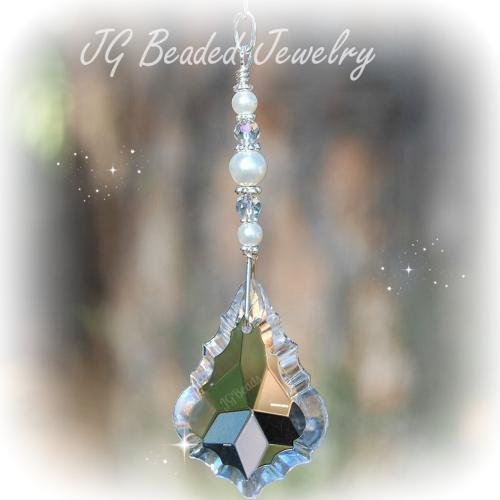 Suncatchers are a wonderful gift and will last for many years to come. Hang it in a sunny window for beautiful rainbows! This rainbow prism crystal is also available in size 30mm and 20mm. 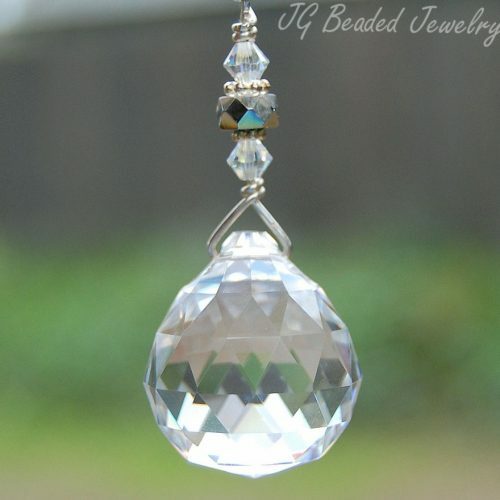 View more crystal suncatchers or rearview decorations!